SNAICC has today helped launch the Fourth Action Plan under the National Framework for Protecting Australia’s Children 2009-2020 in Darwin, which includes a stand-alone priority on improving outcomes for Aboriginal and Torres Strait Islander children and their families. At the launch, SNAICC Director and Chair of the Family Matters campaign Natalie Lewis presented The Aboriginal and Torres Strait Islander Child Placement Principle: A guide to support implementation, a new SNAICC resource that will support practitioners to enhance implementation of the Aboriginal and Torres Strait Islander Child Placement Principle (ATSICPP). The ATSICPP is a framework for holistic, best practice response for families in contact with child protection systems and ensures that Aboriginal and Torres Strait Islander children remain safely connected to their families, communities and cultures. Improved application of all five elements of the ATSICPP is a key priority of the Fourth Action Plan. While the Fourth Action Plan signals a positive step forward, SNAICC is deeply concerned by the rising over-representation of our children in out-of-home care revealed in last week’s Report on Government Services (RoGS). Aboriginal and Torres Strait Islander children are now 11 times more likely to be removed by child protection authorities and placed in out-of-home care than their non-Indigenous peers (increasing from 10 times in the previous reporting period). The very premise of the National Framework for Protecting Australia’s Children 2009-2020 is that redressing over-representation requires an increased focus on prevention and early intervention. However, in reality the proportion of child protection funding spent on family support services focused on prevention and early intervention has remained at 17 per cent over the past three years. The efforts to date have proved completely inadequate to achieve substantial change for our children.  Through the Family Matters campaign, SNAICC and our partners have continuously advocated for the development of a comprehensive national Aboriginal and Torres Strait Islander children’s strategy to address the drivers that lead to child protection intervention and eliminate the over-representation of our children in out-of-home care. The commencement of the Fourth Action Plan, and the publication of this important new resource, presents an opportunity to achieve real change for our children through a renewed commitment to prevention and early intervention. At 30 June 2018, there were a total of 17,787 Aboriginal and Torres Strait Islander children in out-of-home care. Aboriginal and Torres Strait Islander children now represent 39 per cent of the out-of-home care population (36 per cent in the previous reporting period). Aboriginal and Torres Strait Islander children are now 11 times more likely to be living in out-of-home care than non-Indigenous children (10.1 times in the previous reporting period). Only 64.9 per cent of Aboriginal and Torres Strait Islander children are placed with family, kin or other Aboriginal and Torres Strait Islander carers. 45 per cent are living with Aboriginal and Torres Strait Islander kin or carers exclusively.